For those who do not know you; can you please introduce yourself? My name is Lukasz Golinski founder and portfolio manager at Oak Road Investment Club. 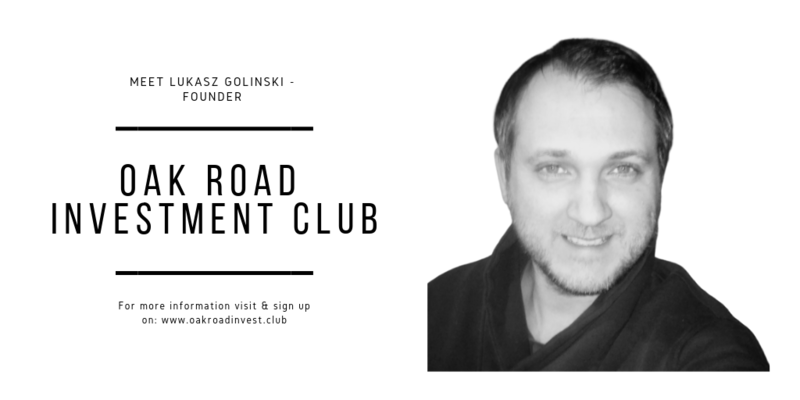 Lukasz Golinski – Founder of the “Oak Road Investment Club”. When was the Oak Road Investment club started? and how long have you been participating? Club was started January 2019. We are in the starting phase of building investment Club assets and discussions with asset management companies in Europe about education part of business. What is unique about the Oak Road Investment club movement and your mission? What was your inspiration? So Club mission is to be a part of our changing economy and in building new infrastructure based on project and researches we do to implement and fit in new model of sharing economy that we all already in. I was travelling for 10 years around a world from place to place learning about people and planet social life and finely i realize that economy regulate itself if we want it and if we don’t and we are part of it all .Then I start to accumulate financial knowledge it is a must for every one should be mandatory in any school . Finely last years 2018 i seen documentation about new infrastructure and world we create 3 industrial revolution and that make me want to do something be a part of this change so I form Oak Road Investment Club. And i am really happy for progress we are making. 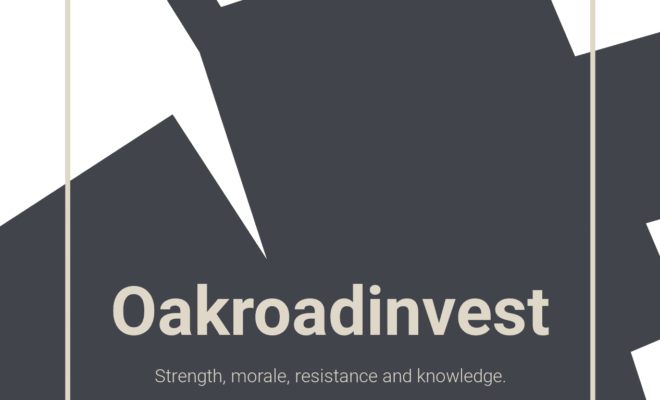 What kind of people do you have in Oak Road Investment club? As I said earlier we are in starting phase so we have couple of professionals available from banking sector , marketing and financial portfolio management. Process is not easy to include any new member to club because we have restrictions by regulators in Germany and we have our entry rules to follow. But we are open for New applicants though our contact page. We noticed Oak Road Investment club is much more than just a powerful portfolio management & outstanding external events club but also positioned as some sort of movement empowering careers of musicians, freelancers, or artists. Why focus on this “creative group? I am glad you asked . This is actually my proposition for investment to club members that I think can be great opportunity to make some change in music industry business and get long term returns on that investment. I know pain musicians face i was one for years but without management skills and right knowledge of income source you not going to make any income to support yourself and your family. 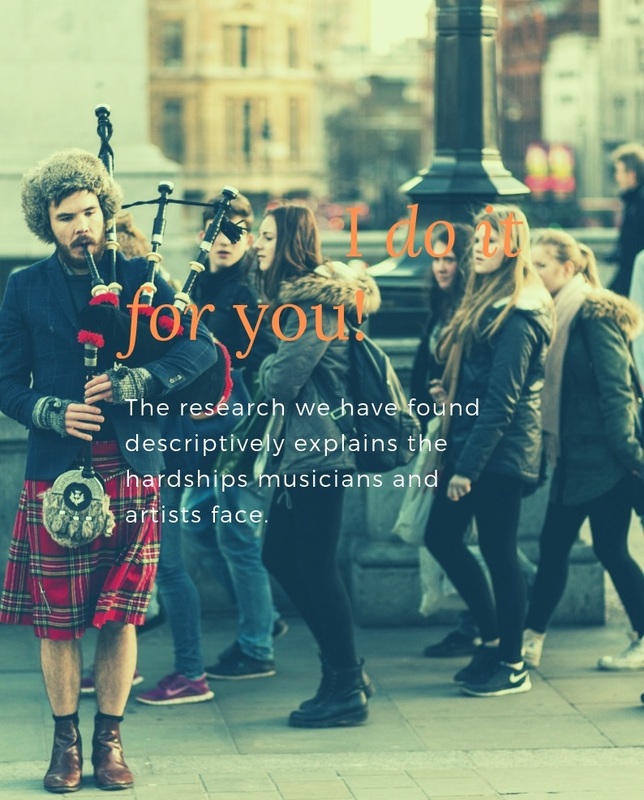 That’s why i am doing now research about what most people working in music industry do wrong and need as much participants that can register for us to find out from analysing data that participants submit and create actionable plan template to follow. Then we will assign manager(if needed) , marketing campaign manager and fund it in return for agreed parentage with music business applicant. How did your journey with the Oak Road Investment club get started? As I describe already before it take me some time to realise what need to be done or can and get to this point. Process was not that much complicated but take time to research ,legal advise, business model, structure and framework, regulation to set it up but with help participation of great freelancers that i am and will work with future it make process less painful and slowly can we focus on projects. Share about your 3 favourite investment strategies . What do you like most about them? Factor-driven alpha investment strategies, designed to manage risks within a portfolio while also delivering market-beating returns are my choice. Carry trading strategy make me sleep better at night, if you do right diversification in your portfolio you can make profit from ranging market condition’s accumulating swaps,dividends on it and sleep at night. Value is also one of my favourite and will use it in a way on music industry project as it take buying stocks which are trading below their fair value and selling at overpriced. Of curse they need to be computation methods and fundamental analysis in place before i do any trading. How do you view the competitive landscape for Oak Road Investment club? What made you really to want launch and to carve out a niche for Oak Road Investment club? There is many Investment clubs around the world and that s good because investment club are to learn together about world we live in and I do not think we need to compete as investment clubs because every club have something unique to bring in and that is great financial education is a must for everyone. About second question. Retail trading is expanding around a world and the biggest problem is there is a lot of really useless education on line and people paying huge amount of money for it. Where in reality there is plenty real accredited knowledge education you can have for free and you will make much better and real returns out of it. There is not one answer and guidance to make money in financial markets but they are systematic processes that institutions use and you can use as a template for yourself. What is the biggest lesson that you have learned since you started Oak Road Investment club? It is very early stage to really answer this question but tame management is one of the importance and right people are a must using your fiends or family would not make it happen as you need skilled people to run it. Also agreement and right communication with members is a must about investment opportunist . What is the biggest challenge you have overcome by creating an emerging investment club centred around “creatives” ? How has that impacted the way Oak Road Investment club has developed? Well good question. Biggest challenge was actually to build model around this idea and present it to club it was much easier to do in my head. It need now more participants application to make it move to the next step. At the beginning idea was more about club members and financial market asset investment but with this new project we realise we can make more good to others and both side benefit on it so this is new road that we are take with is great . When you launched Oak Road Investment club what “big” problem did you set out to solve? Main problems to solve are hardships that people face and knowledge that is not that easy spread about our world People worrying about they money,work,home they country but do not realize that they are part of world changes that are needed to be a part in changing infrastructure in Europe and around a world. Cheap is not always good well never good for economy many people do not realize that we actuality going to have big changes in our sociality around a world in next 30 years. Breaking into the finance & investment industry isn’t an easy feat. What advice would you give young people looking to form their own companies? Marketing tips? Around yourself with right people that are or was there and you will do good. For any other like management , marketing you can always hire someone who can do it for you. There is many great people that I like to listen to motivate me list is long and depend on activity i do. Den Pena lately is my choice as he can give you a kick . What is your role in the company now? And how involved are you in the day-to-day and overall operations? Right now I am portfolio manager/treasurer for a members our portfolio running day to day questions about propositions to changes in active positions we hold at the moment. It is a process as I can not make any decision my self we using on-line communication’s and website pages you can see on website on page for members only. Then i am working on Music investment project to set it up properly with team of people assign to this project for social media operations, marketing etc.. Sometimes you can not do much, as I realize there are months in year that I am feeling stuck with everything but I know it going to happen i just cope with it I watch Great motivational speakers, take my guitar or trumpet and just improvise and for a big kick watching Den Pena. Is it fair to assume that Oak Road Investment club works with just “musicians, freelancers & artists” ? What happens when prospects from other industries turn up…Do you turn them away? No we not working only with musicians freelancers etc. That is our first project let see how it works and move from there . We are open for more recently we would like to engage in Europe transformation involving energy company’s .project is still in development but we see great opportunity in it. Aside Oak Road Investment club of course,who else do you think is doing good things in your industry right now? Music industry is wildly viewed as risky investment because of licensing and value gap VC and private investors invest in it very modesty . Recording Labels are still the primary investors . Then we have Digital market company’s and streaming services. They do it from investment perspective as we are but let not forget most income for musicians is from live performance so venue owners do good part of it as well. Many opinion is that as for education is great place but for making good investment and not lose money it is not great place to be. What would you like to achieve before the end of 2019? What is Oak Road Investment club’s long-term goal and what’s in the pipeline? Main goal is to be a part in creating better infrastructure in sharing economy with our projects and steady grow of our club assets. My kids recently and how amazing experience it is to be a father. Every time I put my self a new goal I tend to not thing about achievements but surely another big one is my freedom that I get for years as traveller around the globe anyday I feel down I come back to beautiful places and people I met and I fill stronger for new action. Of course Oak road investment Club is something that i am very proud of that I can not wait to wake up in a morning if I go to sleep hahaha. I don’t know really but probably not to do everything yourself let people do job for you not waste time to learn everything will be first to be more confident stick to plan and go for it.